This site explains how to ensure Web pages and online documents can be made usable for users with different disabilities. For help accessing Penn State account and technology services, including Access Accounts Office 365 and LionPath, please contact the Penn State IT Service Desk. Accommodations – What are the different needs for different audiences? Blockers – Find what items such as images, tables and headings need to be fixed to facilitate universal access. Courses – Issues such as course guidelines, STEM content, foreign language and other course needs are addressed here. Guidelines – Links to different Penn State policies and accessibility guidelines. Websites – Implement accessibility in different Web site components including forms, tables and CSS. Multimedia – Information about video captions, images and other media. Testing/Triage – Tools and methods for auditing your content. 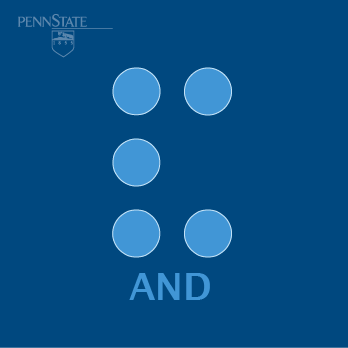 Software – Learn about accessibility in Word/PowerPoint, Canvas, Sites at Penn State and more. Training – Discover available training in multiple formats.